I first read “Sense and Sensibility” when I was in high school, and, as painful as it is now for me to admit, the novel didn’t strike me as being particularly impressive. And least impressive of all was the hero, or one of the heroes, Edward Ferrars. He is as unlikely a hero as anyone can imagine, and after the glitz of “Pride and Prejudice” it’s clear my high school self was expecting a hero along the same vein as the dashing Mr. Darcy. Ferrars doesn’t get the dramatic, anticipated entrance. Instead he’s introduced quietly, meekly even, with Austen almost apologising for his apparent deficiencies. It’s similar to Elinor’s portrayal of his character as she admits to Marianne Edward’s flaws, balancing them out with his capabilities. Aside from the fact that he was a nice person, I couldn’t fathom why he was deserving of someone like Elinor. The eldest Dashwood sister, with her strong principles, and quiet resourcefulness seemed worthy of someone far above the meek and weak-willed Edward Ferrars. I could appreciate that he was someone struggling to live up to the expectations of his family, trying to keep his over-bearing mother and sister at bay. He clearly wanted to live life on his own terms, and not on the over-ambitious ones of his family. What I couldn’t understand was why he didn’t do something about it. For much of the novel it appeared as if he was sitting back and allowing things to happen to him – a conviction that was only strengthened when his engagement to Lucy Steele was revealed. In contrast to Lucy’s manipulative prowess Edward seems like a mewling and defenceless kitten. And, what was more, he made the fatal mistake (in my books) of engaging poor Elinor’s affections without considering that they might blossom into something more. And all this while knowing that he was already tied down by the promises he had made to Lucy. However, with my second reading of the novel, my feelings (much like Elizabeth’s feelings for Darcy) underwent a complete transformation. I can’t tell whether my perspective matured or whether I just grew more tolerant, but instead of being exasperated by Edward I started to sympathise with him. Ultimately he is just a young man, a little uncertain of himself, and bewildered by the big, wide world. He is trying to find his own place in this world, attempting to justify his ambitions (or lack thereof) to his family while dealing with an engagement he was weak enough to agree to during his younger years. And on top of that, not only has he met a new lady fair whom he can’t get enough of and who seems to be the perfect woman for him, but he has to end up deceiving her as well. It is a difficult position for any young man to be in, and one that requires some dexterity, something which Edward (not exactly being the man of the world) is in some need of. To make things even more difficult, our hero also has a strong set of principles – so much so that he is disinclined to break off the engagement with Lucy despite seeing how inferior she is to Elinor. You have to admit, that takes an enormous amount of courage. Especially, as he would have realized by this point that it is Elinor, and not Lucy, who truly loves him. Yet, by continuing with the cursed engagement he was dooming himself to a life of regret without even a possibility of love. Which is essentially the same situation that Willoughby ends up in by the end of the novel. But while Willoughby’s selfishness lands him in that situation, it would have been the admirable principles that would have similarly doomed Edward. You can’t help but admire someone who sees such a miserable future awaiting them, with the option of a better one, and yet still chooses the former. And of course, Elinor, with her strong principles, would find herself admiring that kind of courage and constancy. 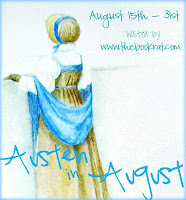 It’s taken me years to understand what Austen knew from the first: Elinor and Edward are a perfect match. Sense and Sensibility is still the one Austen novel I haven't yet read, mostly because I watched the movie with Kate Winslet and wasn't very fond of it. Your view of Ferrars is an intriguing one, Lady Disdain, and when I do get around to reading S&S, I'll definitely be keeping it in mind. I agree I think he's feeling trapped and yet trying to make them all happy. He has great principles. I've come to like S&S more tho' at first it wasn't one of my favorites. Edward is one of those nice guys you can't help liking, even when he's a little wishywashy. Kind of like Bingley. I agree that a big part of why Elinor loved him is because he honored his engagement even though he knew he'd be miserable. I think it's difficult for us in a modern age to realise quite how much the young were duty bound to family- as a younger son, Edward is still dependent on his and trying to please even if he doesn't relish the choices his family make for them. Lovely article - makes me want to read the book all over again! Thank you everyone for your comments (both kind and thought-provoking). @Juliet Archer - Haha, unfortunately I am yet to be convinced of Edmund Bertram's appeal. That is a post for someone else.